Standing on your feet for long periods of time with debris and liquids falling on the ground can create an exhausting and unsafe work environment which is why many warehouses and restaurants use anti-slip and anti-fatigue floor mats to maintain a comfortable and safe workplace. 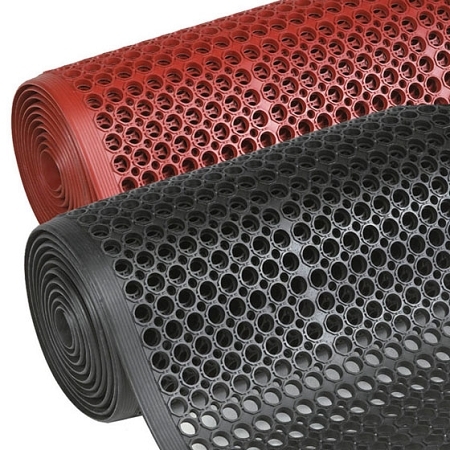 The 562 Sanitop Floor Mat is manufactured from a highly durable chemical-resistant rubber material designed to keep workers active for longer periods of time and safe from debris and wet settings. 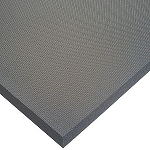 Trapping debris and liquids in the small and large hole drainage system incorporated into this floor padding reduces slip and fall accidents in the work place. 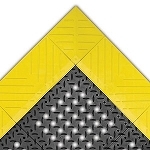 Outstanding comfort and foot traction is due to the thickness of this safety mat increasing workers performance and production. 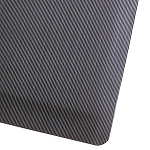 All four sides are beveled for ease to prevent tripping when getting on the safety mat. To clean and restore new look, simply use water and mild detergent. This floor covering is available in different dimensions and two colors (Black, Red) to meet all your customization needs.